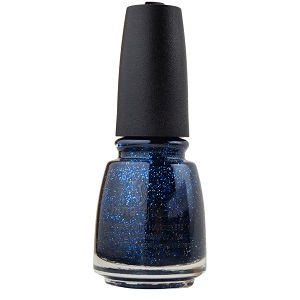 China Glaze Nail Polish, Star Hopping, 1424, .50 fl. oz. Midnight dark blue and silver glitter in a blackened blue translucent jelly base.